Open to the public for Tours and Tastings on Saturdays and Sundays from 1PM – 6PM and at other times by appointment. 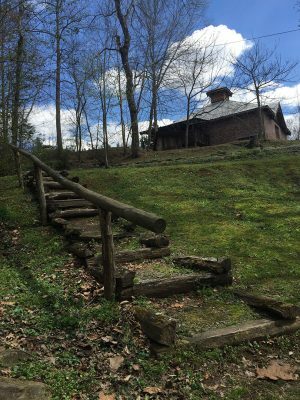 Located in the heart of the Yadkin Valley along the foothills of the beautiful Blue Ridge Mountains, this fertile, sun-soaked landscape is the perfect place for our grapes to grow unadulterated. Organically raised and handpicked, we use the fruit from our 9 acres of hybrid and muscadine wine grapes and our 1.5 acres of blueberries to produce naturally delicious wines in our estate winery for your drinking pleasure. We use no animal by-products or grains in the production of our wines resulting in wines which are “Vegan friendly” and Gluten-free. 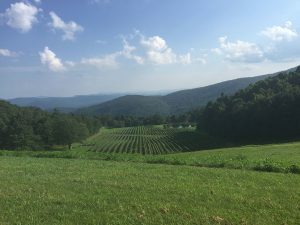 Burntshirt Vineyards’ award-winning wines are expertly crafted from 100% estate grown fruit from our two vineyards which are among the highest elevations on the East Coast. 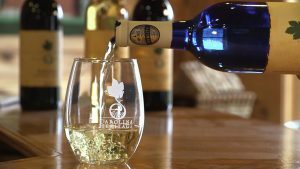 What started primarily as a grape growing operation evolved into the idea of a winery when owners Lemuel and Sandra Oates, recognizing the quality of their fruit and the opportunity to be a part of the thriving North Carolina wine industry, decided to embark on production of their own premium, estate wines.